Good news, Fixer Upper fans — Chip and Joanna Gaines could be coming back to TV! During an appearance on The Tonight Show With Jimmy Fallon, the husband-and-wife team announced that not only do they plan to return to the small screen, they hope to do it on their own network. When Fallon asked whether more TV time could be in their future, Chip playfully clued the audience in to a big secret. “We signed a nondisclosure and it said, quote-unquote, you can tell your mother but that’s it. So, Mom, I just wanted to make a quick announcement: We are coming back to television!” he said. “You’re gonna get to see the kids grow up, you’ll get to see us — obviously maybe on a six-month delay like the rest of the world — but we’re excited to be back." Chip told Fallon that through Fixer Upper, they’d been able to pinpoint areas of production that caused problems and concluded they could potentially fix them. Enter their own network. “So, we’ve actually partnered with David Zaslav [Discovery’s CEO] and Discovery; we’re actually going to have a network, and I think we’re going to really carve it out in a way that really makes sense to us and our family. It’s going to be filmed a lot in Waco, Texas, so we don’t have to travel a whole lot. So, all things being equal, we could not be more excited,” Chip said. 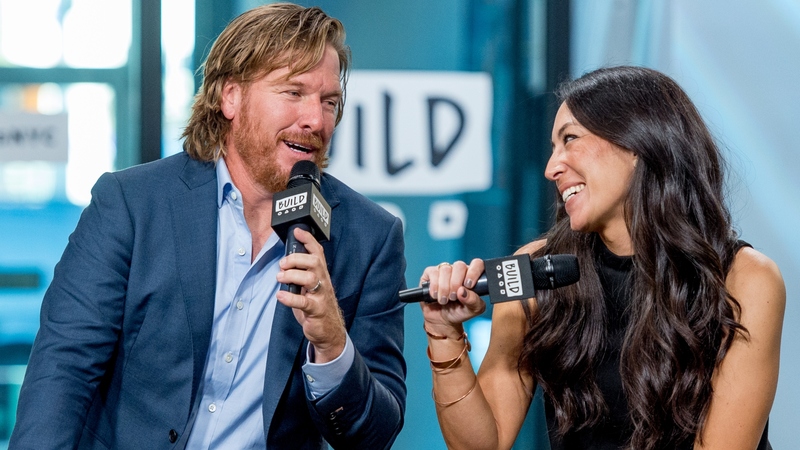 The Gaines family initially shocked fans in September 2017 when they announced that the fifth season of their hit HGTV show Fixer Upper would be their last. They arguably shocked fans even more when, shortly after revealing their “retirement,” Chip and Joanna shared with the world that they were expecting their fifth child. “We came into this whole thing sort of shock and awe. We had never had any inspiration to be on television, we didn’t know anything about the business, and so when you step into this universe, it takes you a little bit to get your feet under you, to say the least,” Chip explained. At least, that’s the tentative plan. On Magnolia’s Instagram feed, they pointed out that Chip “got a little excited and spilled the beans” about a potential collaboration with Discovery. Per Deadline, Discovery also confirmed that Chip and Joanna were in talks with the network but, once again, cautioned that nothing had been nailed down at this point. Of course, it’s not as though the Gaineses have been in full retirement mode since the final episode of Fixer Upper aired in April. In fact, they have a veritable empire in the making, including their popular Magnolia Market at the Silos destination shopping experience, The Magnolia Journal lifestyle magazine, and collaborative product lines at Target, Bed, Bath & Beyond, Pier 1 and more. Both are also best-selling authors. Basically, everything they touch turns to gold (or should we say sold?). Their new network, should it come to fruition, seems destined for success just the same.